Old wizard Leroy was working on his book of spells with a fervor when the lightening stuck his old rocky tower on the hill. It, unfortunatly put an end to his literary project. . . and his life but it also kept his trusty quill moving perpetually whenever an unsuspecting onlooker opens his ancient text. Now, we're not sure what kind of spell he was working on when he turned to ash but Leroy's book makes some pretty crazy noises these days. It's almost as if all the victims of his magic spells in life have come back to warn people from trying any of the tips and tricks that were carefully recorded in the volumes of this manuscript! 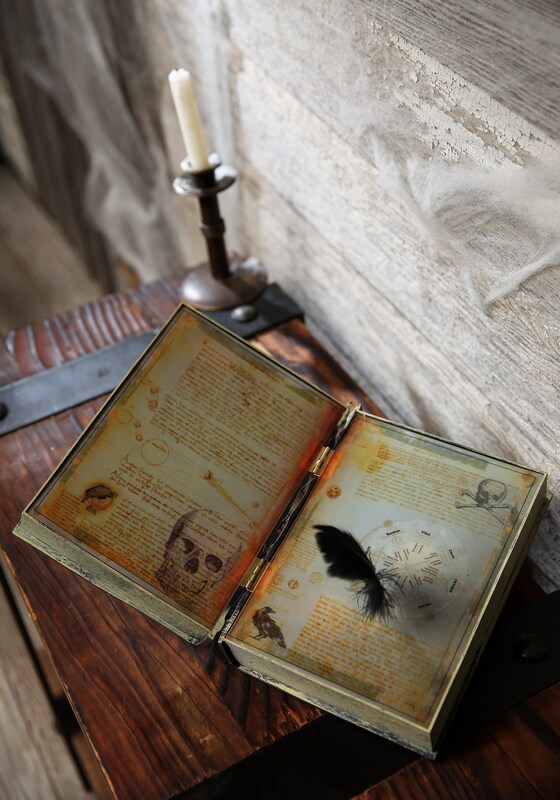 This book is sure to add some fun macabre detail to your indoor decor this Halloween season. It'll light up a dark corner of any spooky soiree, enchanting the kiddos and delighting the adults. All you need is three AA batteries to make is illuminate and compell the magnetic feather pen to move around on the circlular track. The book also adds a little spirit with a cacaphony of scream, creaking, and other haunted house sounds. And when you're done with the haunting noises, there is a switch to turn the book on, off, and put it on silent. We'd say that's a handy party trick! Want to have a happy Halloween with friends and family? The right creepy decor is a sure fire way to set people into a spooky state of mind. 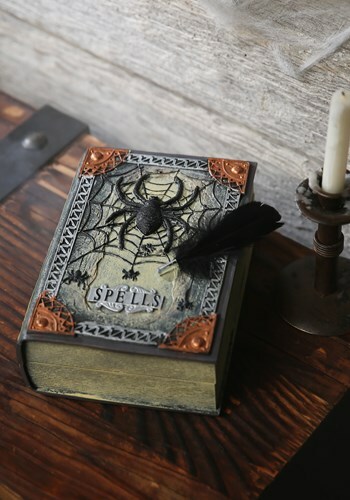 Whether you're having kids over for refreshments before they head out to the streets to trick-or-treat or you're planning on hosting a All Hallows Eve soiree for a fully grown crowd, this book is sure to add the mystical air that this season calls for. There's nothing like a good book to set the mood in the dark evenings of October!